SCUBA QUIZ: How Fast are Corals Dying? - Dive o'clock! SCUBA QUIZ: How Fast are Corals Dying? Chasing coral is a recently released Netflix documentary about the rate that coral reefs are vanishing around the world. This quiz tests how much you know about coral reefs! Our life depends on the oceans. From the air you breathe to the temperature around you, life below the surface makes it all possible. We are polluting our oceans, stressing marine life and influencing the ecosystem at an alarming speed. This all might seem a bit vague, hard to visualize, even if you are a SCUBA diver, snorkeler or ocean lover. How bad is it really? 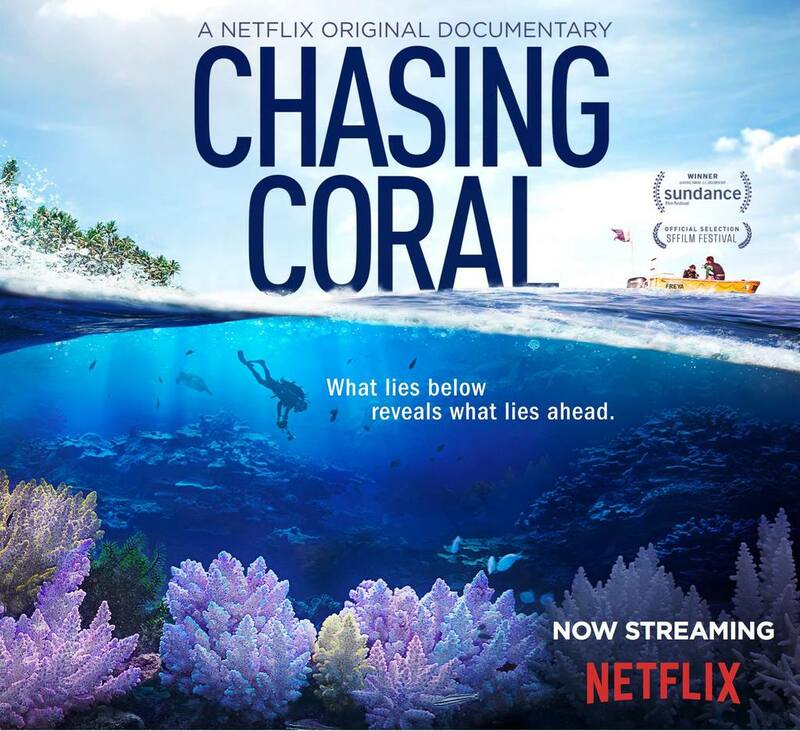 Watch Chasing Coral by Jeff Orlowski and see the change with your own eyes on Netflix. It is a beautiful documentary with hearth-breaking visual evidence we no longer can deny. Watch and learn, be inspired to act and spread the word! We need the oceans and we are the only ones that can help the reefs survive. Do you know the right numbers? Coral reefs are home to over 5 10 15 20 25 30 35 40 45 50 55 60 65 70 75 80 85 90 95 100 % of the world's marine species. Reefs are a source of food and income for over 100 200 300 400 500 million people. 1 2 3 4 5 6 7 8 9 10 11 12 13 14 15 16 17 18 19 20 21 22 23 24 25 26 27 28 29 30 31 32 33 34 35 36 37 38 39 40 41 42 43 44 45 46 47 48 49 50 51 52 53 54 55 56 57 58 59 60 61 62 63 64 65 66 67 68 69 70 71 72 73 74 75 76 77 78 79 80 81 82 83 84 85 86 87 88 89 90 91 92 93 94 95 96 97 98 99 100 % of heat trapped in the earth’s atmosphere is absorbed by the ocean. 1 2 3 4 5 6 7 8 9 10 11 12 13 14 15 16 17 18 19 20 21 22 23 24 25 26 27 28 29 30 31 32 33 34 35 36 37 38 39 40 41 42 43 44 45 46 47 48 49 50 % of the corals of the Great Barrier Reef have died last year. Coral reefs are home to over 25% of the world's marine species. Reefs are a source of food and income for over 500 million people. 93% of heat trapped in the earth’s atmosphere is absorbed by the ocean. 29% of the corals of the Great Barrier Reef have died last year. Shocking answers? 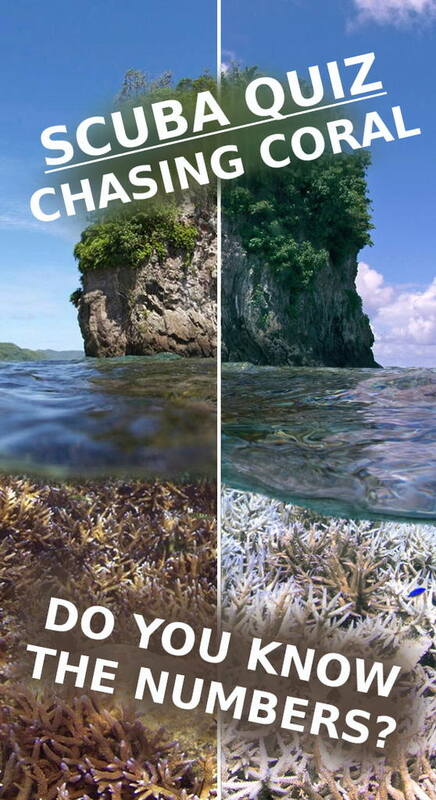 Watch the movie Chasing coral and see the evidence with your own eyes! Have you already seen the movie? Download the Action Guide and ACT! Dive o'clock "It's dive o'clock somewhere!" This book describes the uniqueness of the Coral Triangle region's marine biodiversity, its conservation importance and the stories, successes and struggles of the drive to maintain its rich biodiversity. If you like this post, hit that like button on our Facebook page and stay tuned for more! SCUBA QUIZ: Can You Identify these Marine Life Species? SCUBA QUIZ: How Much Weight Do You Need? SCUBA QUIZ: What Wetsuit Do You Need? Watching the Ostracods glow on Bonaire!